Okay. 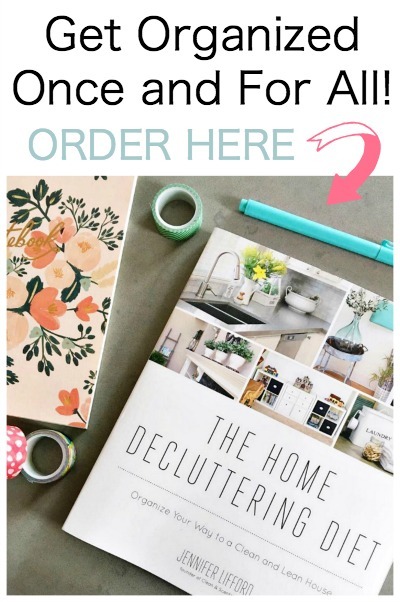 I am SO excited to get going on some Christmas projects! Christmas is my most favorite holiday ever and I love decorating our home for the season. 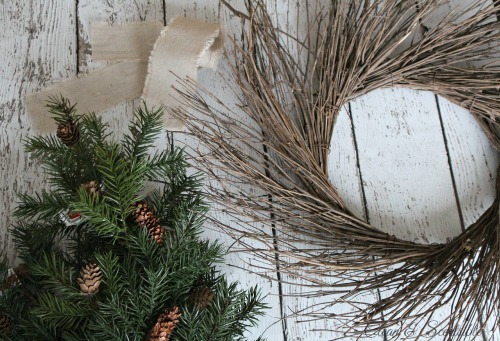 Today I am teaming up with some other Christmas-loving bloggers for some early holiday wreath inspiration. I can’t tell you how excited this is getting me! I went pretty simple with my project and came up with this rustic Christmas wreath. I have a lot of Christmas decor, so I am trying to reuse as much stuff as I can from my current stash. The branch wreath was from a fall wreath that I did a few years ago and I picked up the pine garland and pinecones from Michaels last year during their after Christmas sale. The ribbon is from May Arts. We really only get a few days of snow around here each year but I love the look of snow covered branches. It is just so pretty! Last week I spent the morning, turning a lot of my greenery into DIY snowy branches and this is one of the projects that I used it for. Using paint and a couple of types of glitter, you can have a magical winter wonderland in no time! Just head on over HERE for the full tutorial. Once my branches and pine cones were all painted, I just slid the branches into the wires that were already on the twig wreath. 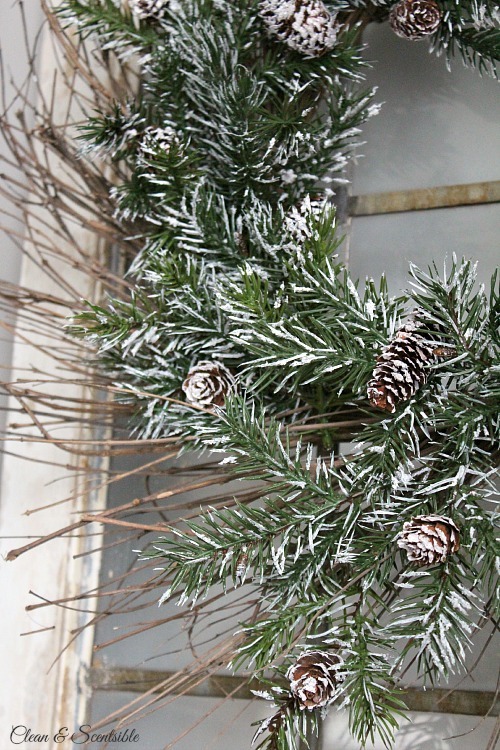 I then used some hot glue to add a few extra little branches and some pine cones to fill in any bare spots. It’s nothing fancy, but sometimes simple is the way to go! I think it will fit in perfectly with my rustic winter theme this Christmas! 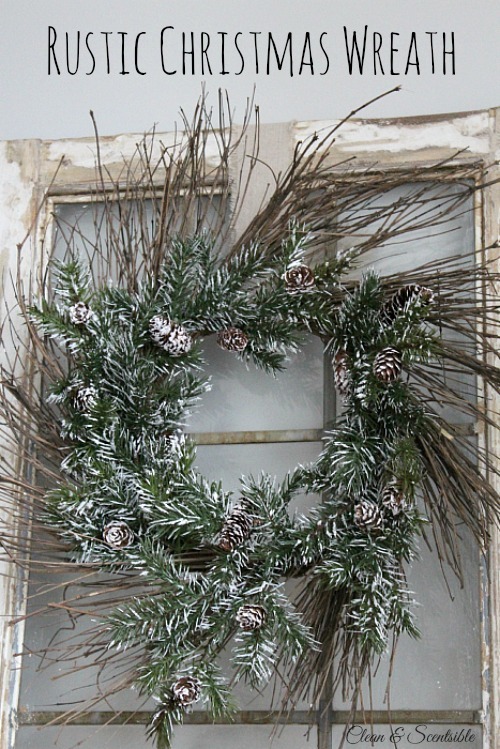 Below you will find the links to each of the brand new 2014 Christmas Wreaths. To appreciate all the lovely details of each wreath, click on each of the links. Everything is better with a pinch-o-glittah. 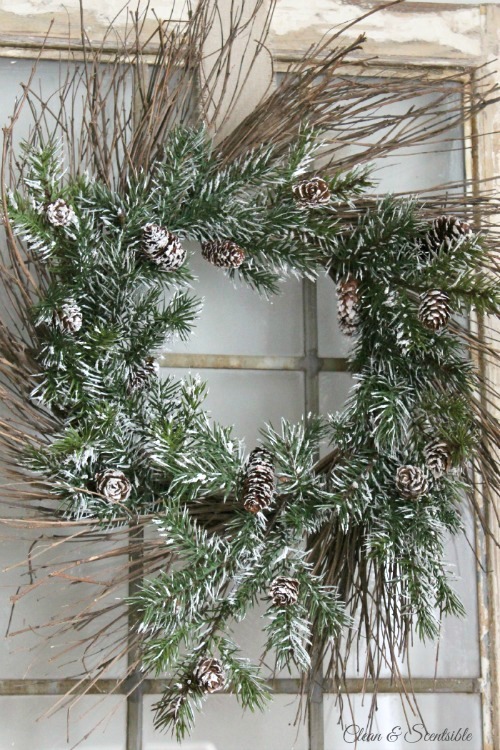 Love the snow-dusted sparkle and the natural, rustic feel of your beautiful Christmas wreath. Wow this is gorgeous!! I love how rustic and snowy it looks! This is so gorgeous, Jenn! 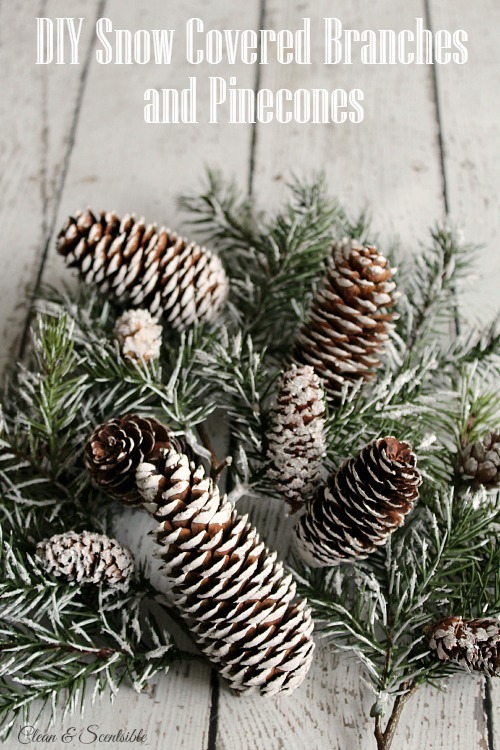 I love the great effect that the “snow” on the pinecones adds!